Diverse reactions have continued to trail the secrecy surrounding the cause of President Muhammadu Buhari’s health (ailment). 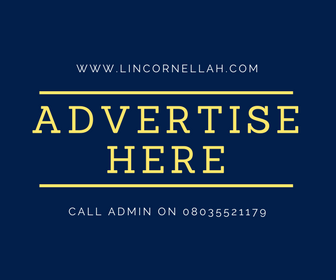 LinCornellah’s blog followed such reactions yesterday (Wednesday, August 23, 2017) on the “HIT Breakfast Show” of HIT 95.9 FM radio station, Calabar, Cross River State. Chief John Odey, former Nigerian Minister of Information and Communication, who spoke in a telephone conversation on the programme, blamed President Muhammadu Buhari and his media handlers for what he described as poor management of information on Buhari’s health status. He said that the President’s failure to resume duty in his usual office suggests that he is not very strong enough to work very hard there, adding that his media handlers “should have come out plain to tell us that the president would work from his house and recuperate slowly and work in a short while in his office”. He said that “the most important thing on the side of information handlers in the villa or for the President is that they should never give oxygen to the enemies to breath well and criticize them. They should never empower the critics with negative information to criticise the government or also criticize the president. As far as I am concerned, it has been poorly managed, it has been poorly handled.” He added that good patterns of communication between leaders and the general public exist all over the world and it is unfortunate that Nigeria is still trying to learn such patterns of information management. In response to a question on the appropriateness of withholding information on President’s health status, Chief Odey said that although the President’s health is a personal issue, “information about the health of the President is not a personal issue”. He said “it is the President and the doctor or the doctors that should make it clear to the handlers so that the handlers can communicate to the public. For instance, the current President’s handlers cannot imagine and say it to the public that this is what is particularly wrong with the President, except it is properly communicated to them and that is why we are having problems”. He recalled that when he served as Minister of Information during late President Yar’ Adua’s administration, a similar scenario was enacted, except that in that instance, “it was a very short period and did not last as long as this”. Chief John Odey was Minister of Information and Communication in Late President Yar’ Adua’s administration. He was appointed in July 2007 and became Minister of Environment in December 2008 after a cabinet reshuffle. He served until March 2010 when a cabinet reshuffle eased him out of office, after Goodluck Jonathan took over as Nigeria’s President. It would be recalled that President Muhammadu Buhari resumed duty this Monday at Aso Rock, after returning from medical vacation in the United Kingdom. Nigerians have not been informed about the cause of the ailment that kept him in the United Kingdom for over 100 days. Meanwhile, Barrister Ugorji Nwabueze, a Lecturer in the Department of Mass Communication, Cross River University of Technology (CRUTECH), aligned with Chief Odey’s perception of President Buhari’s media team, during a telephone conversation on that program. He said that the President’s media team is doing more of information management than public relations. Barrister Nwabueze submitted that this is not projecting a good image of President Buhari before the public. However, Uke Ogah and Maurice Inok, presenters of the programme, quickly responded that Nigeria’s constitution does not recognize the existence of spirits. They advised Toyin to speak about physical and verifiable things only. The “HIT Breakfast Show” is aired on HIT 95.9 FM Calabar from 6.00am to 9.00am every weekday.